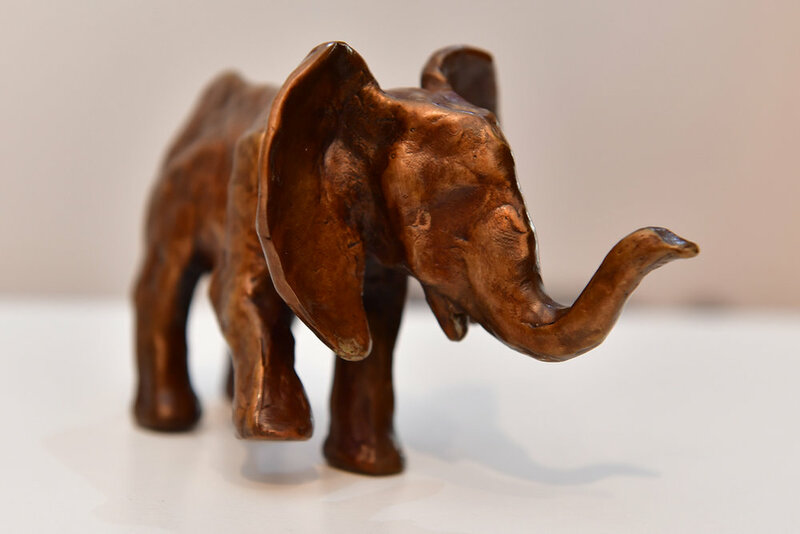 Bronze Elephant Sculpture - "Bobo"
An elephant cast in bronze. Approx 18 cm long and 12 cm tall. 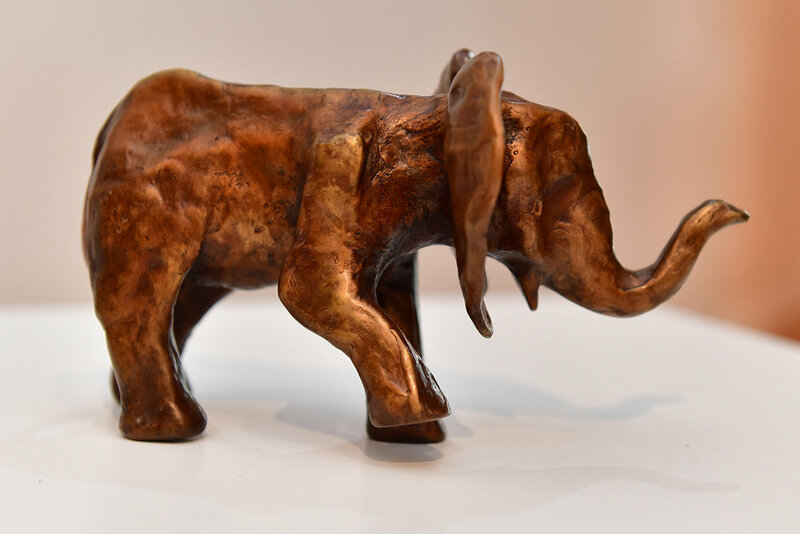 For sale with all proceeds going to Save the Elephant Foundation through AW. *Available to be picked up at H'Art Matters Gallery, Mosman. Postage can be arranged by UPS/DHL and will be determined by destination. Please allow 4 weeks for order to be made.